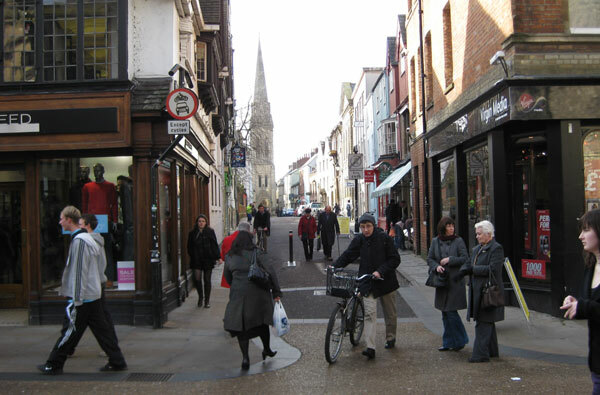 St Michael’s Street, which is opposite St Michael-at-the-Northgate Church, today runs between 37 and 38 Cornmarket as far as New Inn Hall Street, where the Wesley Memorial Church (opened in 1878) faces it. Originally the present St Michael's Street was part of New Inn Hall Lane (later Street), which then linked Queen Street to Cornmarket: it turned sharp right here, keeping inside the old city wall. The Bocardo Prison was immediately north of the east end of the street by the Northgate, and sometimes this road was known as Bocardo Lane. In 1873 New Inn Hall Street was extended northwards to George Street. 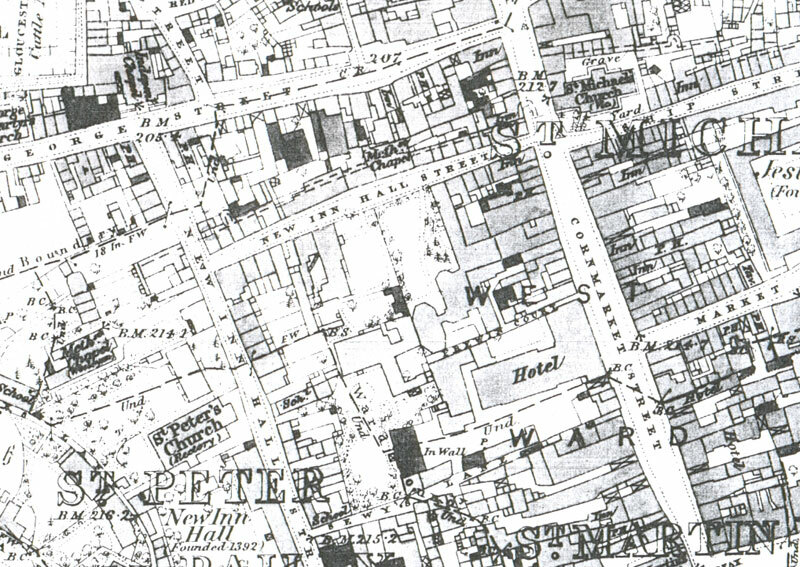 The 1876 map below shows that for a while both the new section of road running north to George Street and the present St Michael's Street running east were named New Inn Hall Street, but eventually the part of the road running eastwards to Cornmarket became known as St Michael's Street.